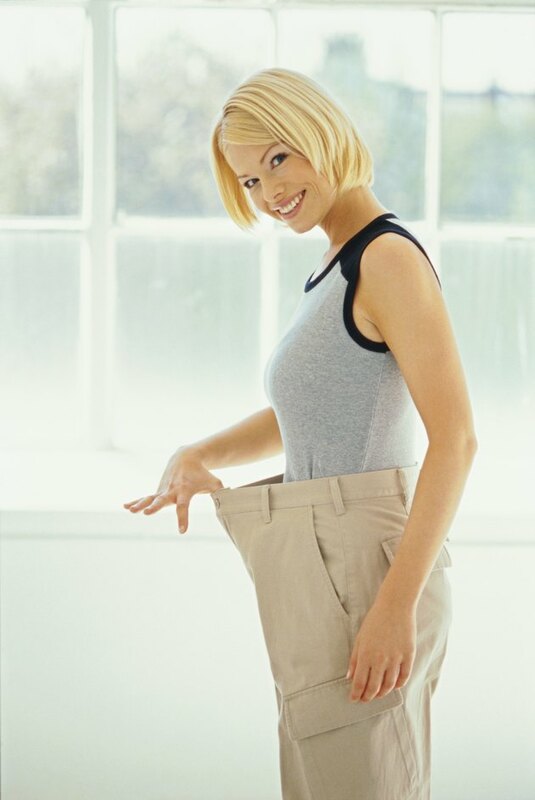 Whether you're fed up with wearing unflattering clothing or have just received a stern lecture from your doctor, losing weight can positively influence your life in several ways. Before you run headlong into the gym and begin exercising feverishly, however, you'll do yourself a favor by being realistic about your weight-loss goals and then adopting a healthy lifestyle. Commit to a series of realistic goals, such as losing weight at a rate of 1 to 2 pounds per week. Creating a calorie deficit by frequently burning a higher number of calories than you consume is the foundation of weight loss. Although exercise plays a role in attaining this deficit, you must also make dietary changes. Reducing the number of calories you consume is possible through simple changes to your daily diet. Steps to take include skipping dessert, soda and alcohol, decreasing the portion size of your meals and snacking on vegetables instead of chips or crackers. Develop a weight-loss routine that includes exercises to help you meet your goal. Cardio exercises and strength training work together to burn calories and boost your metabolism, respectively. Commit to around 300 minutes of cardio exercise per week and no fewer than two strength-training workouts. Examples of effective weight-loss cardio exercises include swimming, jogging and step aerobics. Strength training can include lifting weights at the gym or at home. Strive for more daily activity by taking the stairs instead of the elevator, walking your dog and parking at the far end of the shopping center lot.